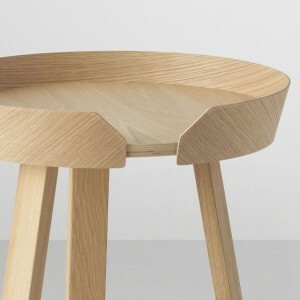 Feature image: Jardan Tuck side table works as both a side table or bedside table. 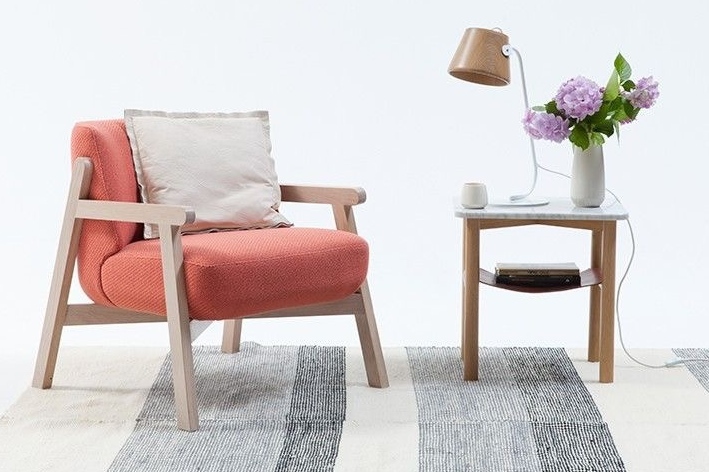 Pictured here with the Harper armchair and Sol table lamp. Today I round up my favourite coffee table designs and share why I love them and how they can work in your living space. Where possible, I like to suggest all-Australian made and manufactured options to my clients. Nathan Day Design has become a particular favourite, designing bespoke pieces from his studio in Yallingup, WA. 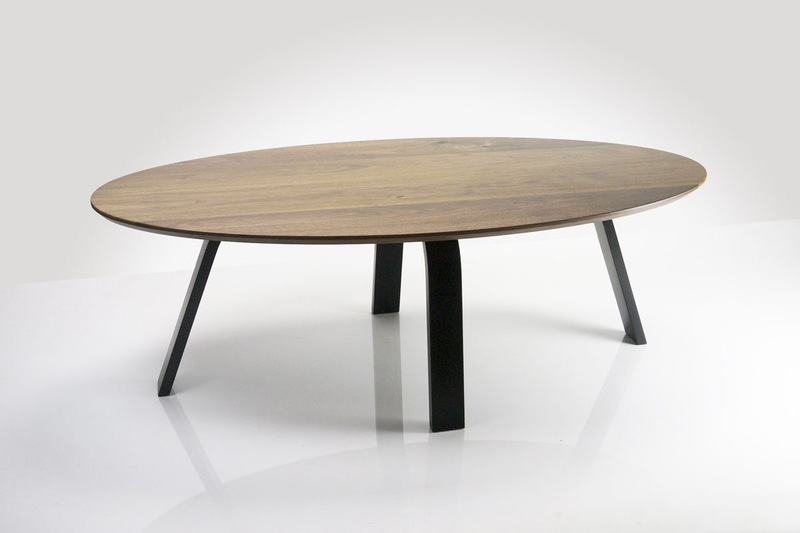 Nathan creates streamlined, beautifully handcrafted pieces in American oak, walnut and ebonised timbers. The ‘Over the Falls’ coffee table is a superb example of his craftsmanship and can be customised to a range of sizes and finishes. Here, it is seen in Walnut with black ebonised legs. 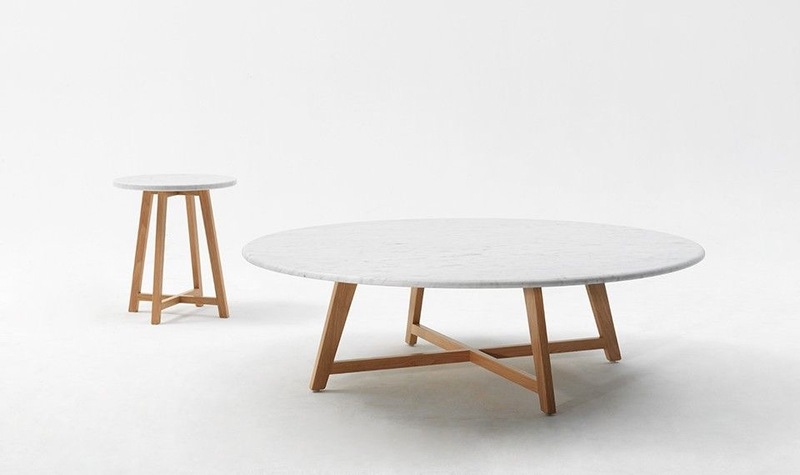 Nathan’s ‘Wonton’ tables also work well for smaller spaces, or for bedsides. Nathan Day pieces are available from Design Farm. 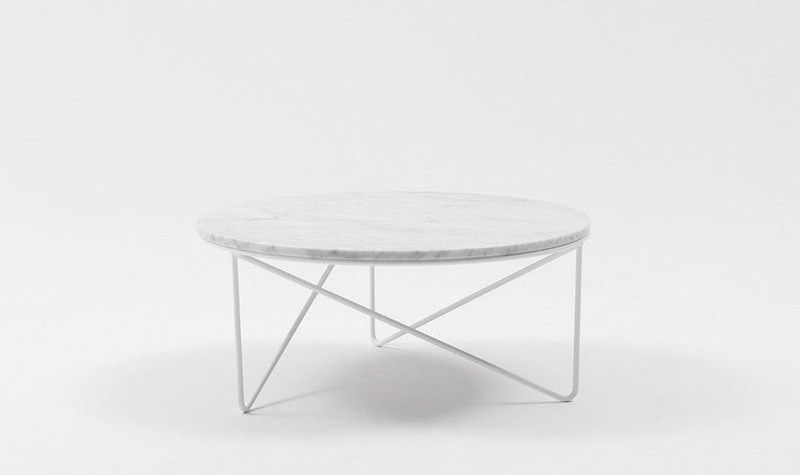 For Australian design, Jardan also has some of my favourite coffee and side tables. Jardan’s ‘Fred’ range comes with a timber, marble or powder-coated top, and the base in a range of colours. 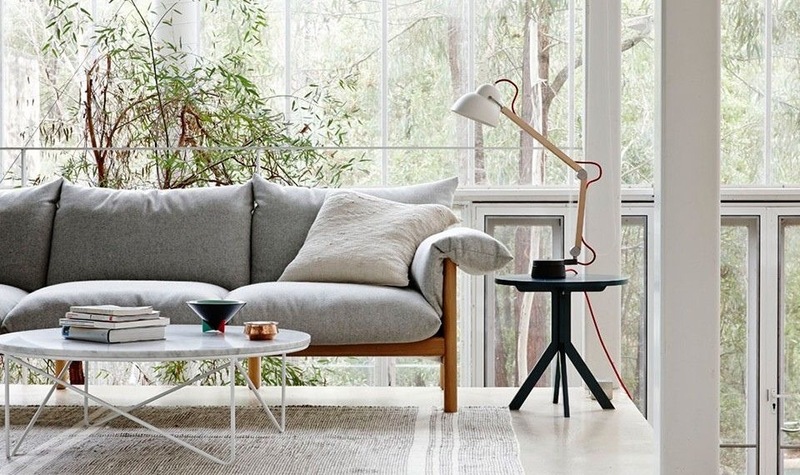 I love this look with a slouchy couch for a casual, contemporary family living area. The Jardan ‘Iko’ range also has a modern look with marble top and timber base. 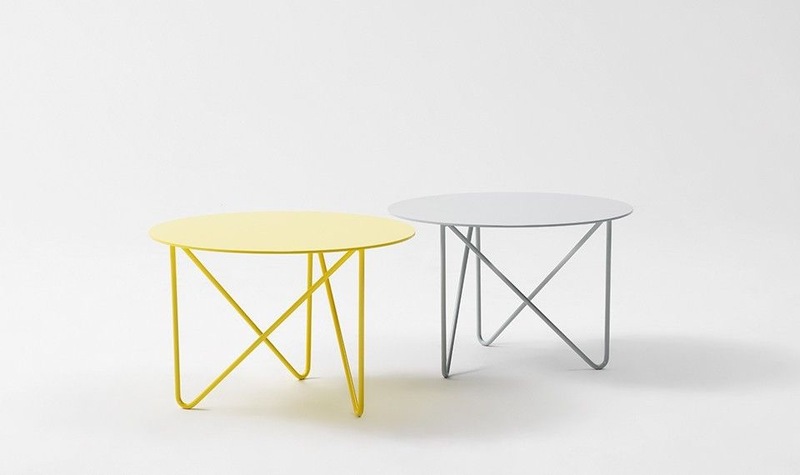 For something different, I also like Ross Gardam‘s all-Australian made Tailored collection of tables. Solid oak legs and spun metal top make a statement in the living area. Available from Stylecraft. 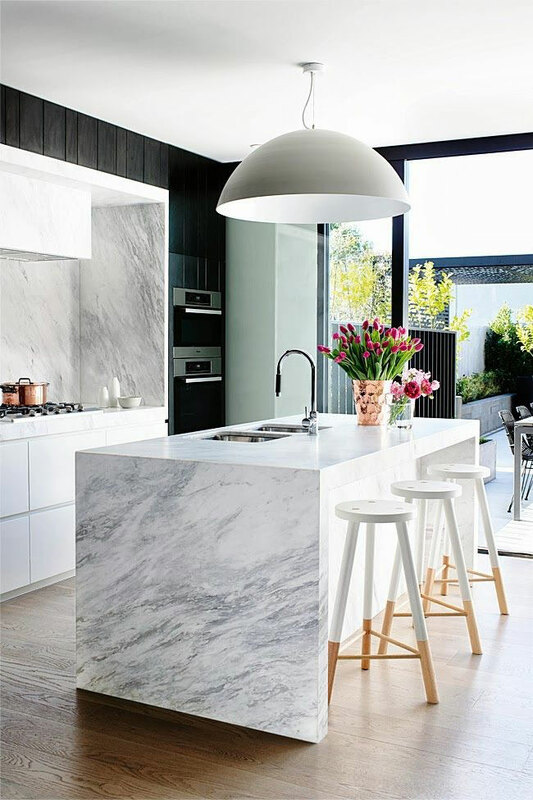 Simon James Design is a New Zealand based company creating a range of contemporary furniture pieces. 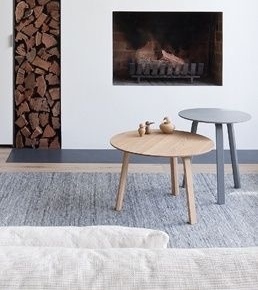 I like their Link range of side and coffee tables for a simple, stylish look. Available with black or white base. Simon James pieces are available from District. 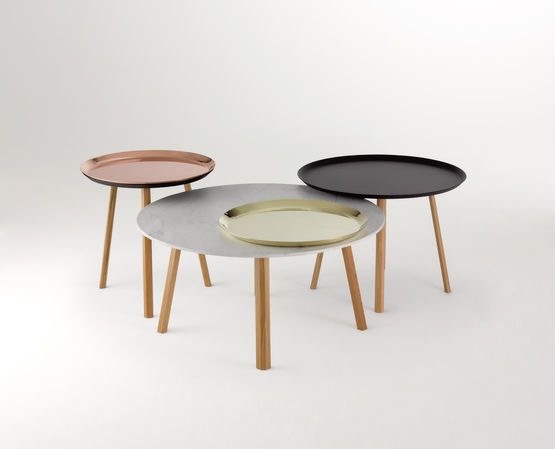 The Hay ‘Bella’ table was first designed for the luxury hotel Bella Sky in Copenhagen. 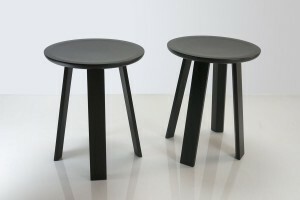 It comes in a range of stains and sizes, perfect for nesting or as an individual side table. 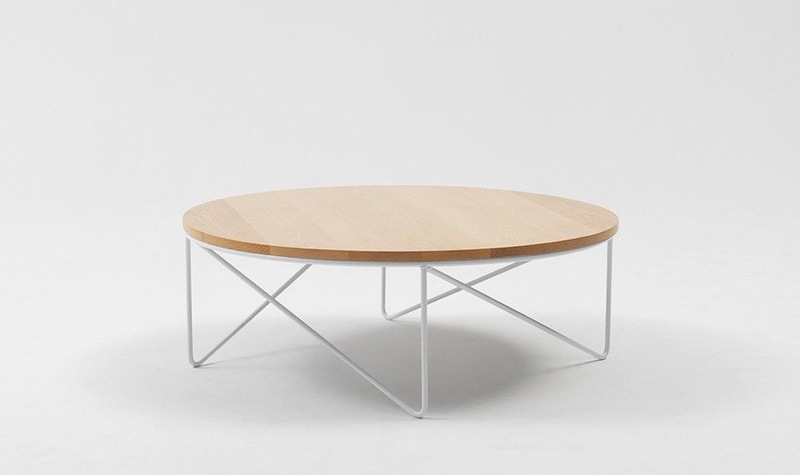 The Muuto ‘Around’ table is another Danish classic. 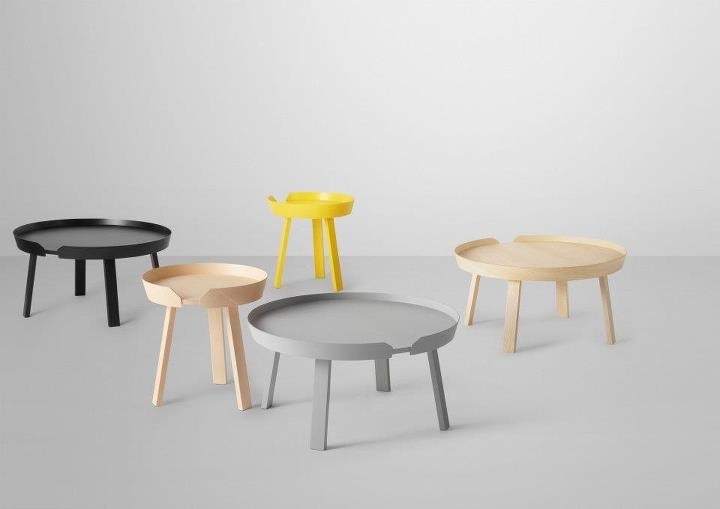 Created by Thomas Bentzen, this range is both elegant and practical. I love the raised edge and round shape in this collection.